This small handle in red colour gives the bag a funky outlook making it a hit for all those fun filled hangout days with friends. Read More..The body of the bag has simple ethnic prints with tiny fabrics encircling the bordering area all over. 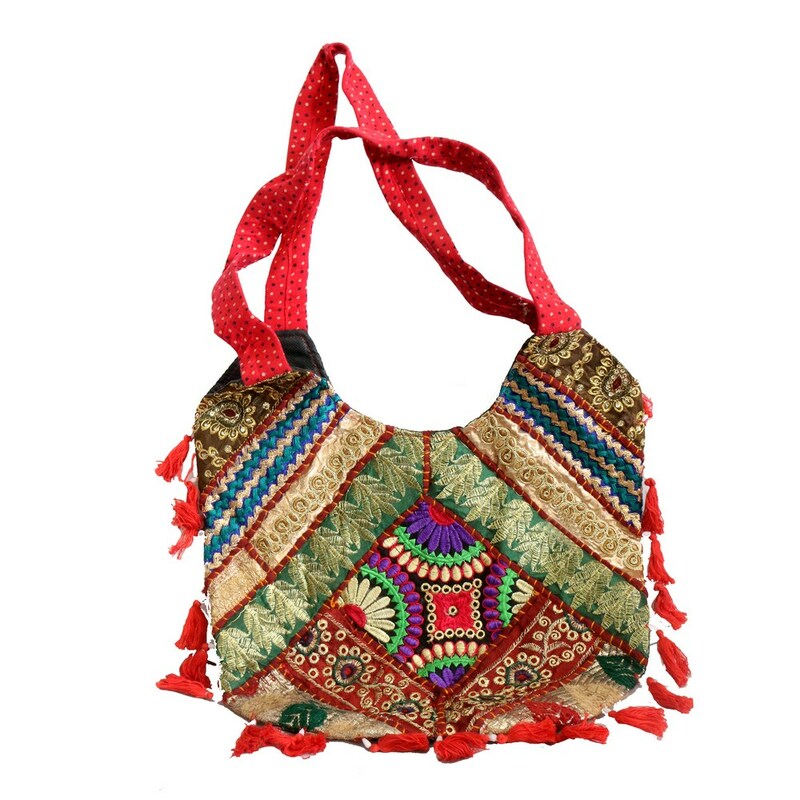 This bag immediately casts an Indianised look on the beholder. Show Less..